Canadian Buffalo offers a wide selection of industrial fan configurations, including both SWSI and DWDI for any application. We can add wear protection of varying compositions tailor made to resist the specific particulate material the fan will see. We look closely at your system to uncover the subtle characteristics of your process and to effectively deal with any factors that might affect performance or reliability. 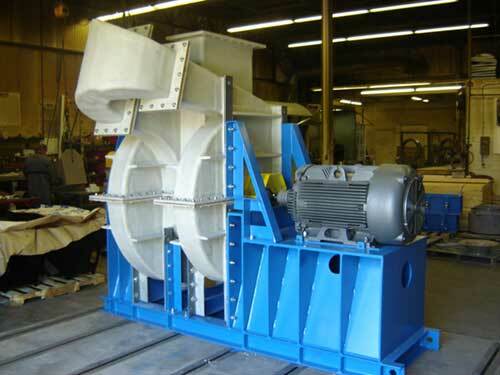 Canadian Buffalo offers the most efficient fan designs while taking into account all possible process requirements as well as other factors such as noise consideration . As the cost of power increases we work with our customers to provide us with as much information in order to deliver a custom design.